Never has hunger been lower, never have standards of living been higher. Despite this, the world is marked by fear in rapid social, political, and technological change. The backlash of globalization is felt as parts of the Middle East and Africa collapse into states of hybrid warfare, as nations challenge eachother's access to vital resources, and as the political unity of the world comes to a grinding halt. The gravity of power in the world is evidently shifting towards East Asia, as India and China are projected to be the new superpowers of the 21st century, but these powers have yet to find a way to replace the Western order. The nations of the west fervently battle this shift of change in an effort to hold onto power for a while longer. The power struggle ignited by crisis and spread by political goals is felt globally. The world is not the same as it once was, and it will never return to it's current state. The tipping point begins in 2024. Early in the morning on May 10, 2018, the worst terrorist attack in European history is carried out in the Swedish capital of Stockholm. On the island of Djurgården, six gunmen entered the Vasa Museum from multiple entrances and slaughtered their way inward. Meanwhile, across the city, two vans parked in the Drottingholm Palace, the residence of the King of Sweden. A total of twelve gunmen armed with assault rifles quickly stepped out of the van, overpowered the guards of the Palace with firepower, and worked their way towards the residential sect of the palace quickly. The senile King Carl XVI Gustav and Queen Silvia were both successfully murdered by the gunmen, while Prince Carl Philip was wounded. The palace was surrounded by RRTF forces within five minutes of the death of the King, and the gunmen were killed. A third attack, at the Stockholm City Hall, was thwarted by law enforcement immediately before the attack. In total, 412 deaths were recorded, making it the worst terrorist attack in European history and the fifth worst in world history. The attacks, which would be immediately named the "Crimson Dawn Attacks," were claimed to be the doing of the Islamic State, every member involved in the attack had migrated from the Middle East as refugees. This sparked intense debate within the European Union, with even the heavily pro-immigrant nation of Sweden pushing for halted migration in response to the death of their King. Eventually, the European Union reached an agreement, and migration between the Middle East and Europe was to be restricted. In March of 2020, the Intelligence Bureau of the Republic of India had uncovered a conspiracy in Jammu and Kasmir. It was uncovered that the Pakistani government had been arming the rebel group Hizbul Mujahideen, which supports Pakistani control over the region, under knowledge of the Chinese government. The group had been responsible for multiple terrorist attacks in the city of Srinigar, the most prominent of which ended the lives of 52 Indian citizens. The outraged Indian government militarized their border as a show of power towards the Pakistani government, and soon departed the Shanghai Cooperation Organization on the grounds that it was "An organization which spoke against terrorism, but one which wasn't afraid to use it to their benefit." The 2020 United States election was one of the most volatile in recent history. The large disparity between Republican candidate Dean Hampton and Democratic candidate Evan Stone. The election put many, especially those with foreign ties to the United States on edge. Hampton won the election by a single vote in the electoral college, realizing the nightmares of the United States' allies. Hampton was by-and-large highly anti-globalist, making numerous remarks in the past against NATO and NAFTA. The worries of the United States' allies in Europe culminated in what would be known as the "Virumaa Crisis." 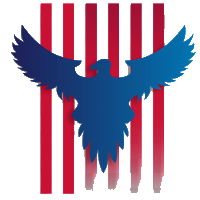 The Russian Federation, in response to the election of the anti-interventionist Dean Hampton, had begun to take multiple aggressive steps in securing their sphere of influence. On October 8th, 2022, Russian soldiers had begun to build up on their common border with Estonia. On October the 10th, Vladimir Putin made an announcement demanding the region of Ida-Virumaa from Estonia on the grounds of a 73% Russian majority in the region. Within the first day, most members of NATO had issued a response to these claims, with all save for Albania, Norway, and Iceland backing the Estonian claims. On October the 13th, a full three days after the start of the Virumaa Crisis, President Hampton announced his intentions to drop support from Estonia if the Russian Federation did not extend past areas with a Russian majority. Although most members continued to hold their support of Estonia, the infamous "Virumaa Address" was the final nail in the coffin for NATO. The President of the European Commission, Jan-Bart Arents, made a statement in response, claiming, "This would be the day that the United States resigned as the leader of the free world." Europe seemed to be on the precipice of war when the Russian Federation withdrew soldiers from the border on October 28th. Moscow was reluctant to challenge the nuclear arsenals of France and the United Kingdom, even though they were much smaller. Several weeks later, on November the 14th, the North Atlantic Treaty Organization was officially disbanded. Directly following this, the Europeans began talks to replace the gap that NATO left. 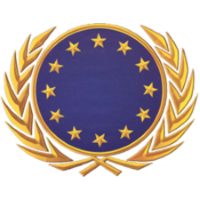 In December of 2022, the Common European Security and Defense Organization Treaty was signed in Brussels. In the midst of the Virumaa Crisis in late 2022, the debated state of Kosovo, bogged down by a frozen economy and the inability to manage their nation, applied to join Albania as an autonomous region. This action enraged the Serbian administration, which sent soldiers into borderlands to secure its assets, sparking a humanitarian crisis in the Balkans. The Crisis has been at a standstill for over a year, with the Albanian government refusing to proceed with the integration until the status of Kosovo is resolved. The European Union has publicly denounced the actions of Serbia, viewing Kosovo as a sovereign state with the rights to their own legal status, but this has only delayed the process of Serbian integration into the European Union. At the same time, in the United Kingdom, the Scottish National Party demanded a referendum on independence, due to the fact that Scotland largely voted to remain in the union. The referendum was agreed to, but the British government continuously held off on releasing a date. After three years of gridlock on the topic, the SNP scheduled a referendum in 2022. The referendum succeeded by a margin of over 65%. The British government immediately recognized this referendum as illegitimate, sparking protests and other acts of defiance in the name of an independent Scotland. Almost immediately after the Virumaa Crisis, tensions with Russia shifted eastward. The People's Republic of China, which had openly criticized the actions of the Russian State in Virumaa, had strained relations related to foreign goals. President Xi Jinping openly stating that "The actions of the Russian state have jeopardized the strategic goals of the People's Republic, China will not support any military action committed by Russia in the west." 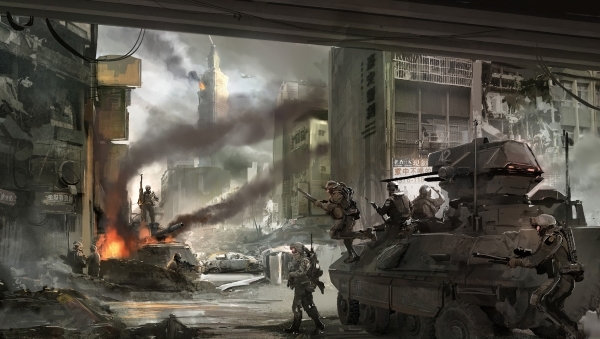 The Russian Federation departed from the Shanghai Cooperative Zone in following months in response to strained relations, and the alliance seeming to move towards mutual defense. In the Americas, the Rio Pact had begun to fall apart. The United States had left during the Virumaa Crisis, and instead signed the Toronto Pact with Canada. Argentina, one of the largest members of the Pact, departed due to political tension between themselves and Brazil. Wars in the Middle East continued to rage on well into the 2020s. In 2019, the Islamic State was finally forced to surrender to advancing forces from all sides. Several months after this, the Kurdish Rebels in Northern Syria and Iraq declared their independence from the failing nations facing little resistance from Syria. A weakened Iraq lead the "Zab Offensive" into Kurdish territories, but the exhausted Iraqi Military made little progress. While Iraq refused to recognize the Kurdish state, they maintain no control over the area. At the beginning of 2022, The Russian Federation increased the flow of supplies into Syria. Against the fractured forces of the Free Syrian Army and the various minor terrorist organizations which dotted the nation, Assad and his armies won Syria back after a brutal 11 year Civil War. Meanwhile, the Yemen Civil War has continued to rage throughout the fractured nation, with Saudi-backed forces making significant gains in recent months. After decades of unrest and years of conflict, the many sides of the Libyan Civil war have agreed to come to the negotiation table. 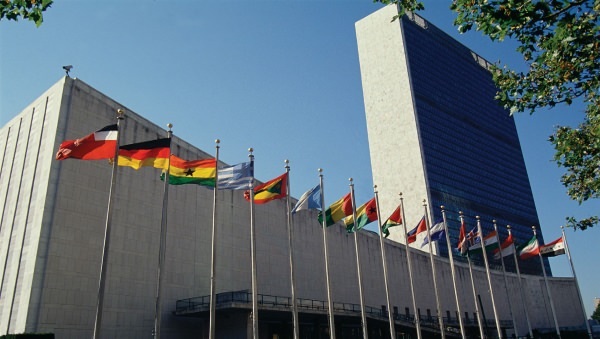 They hold negotiations in The Hague, Netherlands, with the oversight of UN officials, and they draft a treaty known as the Declaration of Tripoli. The treaty states the separation of Libya into three seperate entities; Fezzan, headed by Nawaar El-Suleiman who will serve as the first president of the fledgeling Islamic Republic, with autonomy given to the Tuareg controlled regions of the new nation. 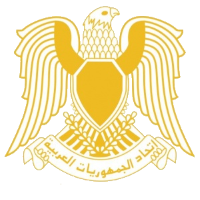 Cyrenaica, headed by General Jaasim Al-Mahdavi, under a military controlled government. and Tripolitania under a presidential democracy, headed the the notable authoritarian, Raashid Al-Rahimi. In the African nation of Cameroon, the long standing dictator of Paul Biya died at the age of 89 in February, 2022. The death was unexpected, and doctors account it to a series of unsuspected strokes while he was out of the country in France. The almost oligarch-like government of Cameroon scrambled to stabilise the nation, and put forth the Vice-President, Philémon Yang, to be sworn in at the nearest opportunity. This started what was later known as the March Undoing, in which Cameroon fell into complete disarray. It turned out that President Yang was completely incompetent to hold the country together, and as a response to lowering economic output, he started to print more money without the permission of the other nation that share Cameroon’s currency of the Central African Franc. This led to a political crisis in Central Africa, which eventually led the the prohibition of Cameroon from using the CAF legally. This destroyed the Cameroonian economy in a matter of days, and only worsened the extreme political unrest. By the time the March Undoing had concluded, three definitive sides had formed. In the heavily Muslim north of Cameroon, a political movement for secession headed by Albert Riqueti, had gained significant concrete support. The movement was known as the Coalition de Libération Isamique does Puel, or CLIP for short. It was founded around the ideal of a Fulani nation, which was a minority group across West and Central Africa, Cameroon included, around an Islamic Democracy. Within months they became strong and organised, and held a lot of control in the North, while also possessing a well trained militia force, but they were not yet activity in conflict. That only occurred after a second movement, known as the Egalité pour le Mouvement Camerounais, or EMC, which was a democratic movement, started actively fighting against the government forces in the South. In this moment CLIP stated actively fighting and seizing control in Northern Cameroon, which only complicated the conflict. CLIP is yet to hold any fundamentalist or radical ideals, but their are worries that this may change by the late parts of 2024. With Cameroon only falling into further disarray, the world has started to take note, and intervention seems likely. Act like the party in power, the American Republican Party isn't going to pass full abortion laws, the German SPD isn't going to approve of nuclear powerplant development, the French LREM isn't going to go against the European Union, the United Russia isn't going to become allies with the EU, etc. If you're sending a letter, you need to write it out, not say something like "My minister sent the Kingdom of Jelly a letter to join the Peanut Butter Alliance." Nothing will happen, but you'll be ignored - None. Anything not explicitly stated in your posts, but something you intend nonetheless, HAS to be telegrammed or DM'ed to Pacificora, or it will be ignored - Warning. The International Entity controls everything out of the control of your government, for most intense and purposes. The outcomes of elections, the opinions of your populace, when terror attacks happen, how war progresses, random events around the world, etc. Unless you have fair reason to civilly dispute an outcome, the International Entity is the final say on game progression and events. NATIONAL UNITY - National Unity is based off of how united your country is, or how the government is looked at from the eyes of the people. This value can be effected by many things, for instance, national unrest. If your nation is in rebellion, then quite obviously your national unity would be radically lowered. If your government has been found to have been doing things your citizenry does not approve of, such as scandals or subverting democratic processes in a democratic nation, your national unity will also lower. While there is no strict numerical value for national unity, keeping it high is important in order to maintain stability. INFAMY - While National Unity deals with the internal stability of your nation, Infamy deals with the external reputation of your nation. When you invade another nation, subvert democracy, act volatile, or things of that sort, your infamy will rise. This will cause your neighbors to generally distrust you, making them have a negative disposition to doing things like opening up trade, while they may also militarize the border to protect themselves. Like National Unity, this is not a number, but a general value which should be kept low in order to keep your nation alive. DIPLOMACY - Every action has an equal and opposite reaction. Meeting with a leader from one country can lower the opinion of your nation in another. If you're casting agreements left and right with the Chinese government, the Indians won't be too pleased. Diplomacy is the heart of this roleplay, not warfare. Warfare exists, but most of the roleplay should be occupied by involving yourself with other nations in agreements, civil wars, etc. Using your information about the global situation and your wit and using it to turn the situation to your advantage is imperative, rather than going in "guns blazing." The International Entity [Pacificora] must be made aware of any shady business you’re doing. If the IE is not aware, you will face harsh consequences, such as getting the event automatically exposed to the public. Any actions, diplomatic or otherwise, have to be telegrammed or DM'ed to Pacificora/Antonio, or it will be ignored completely. It is important to note that a military pact may not always guarantee you allies in the event of war. Failure to maintain your loyalties towards a military pact can result in serious loss of face in the international stage. Military alliances must be agreed upon by all states, a country can not be forced into an alliance without you invading them first. WARFARE - National Unity plays a role in warfare by supporting a war effort in resource scarce situations and supporting supply lines when relevant, increasing troop effectiveness and range. National Unity can be promoted pre-war by riling up your populace before casting a declaration of war, it is beneficial because it bolsters wartime national unity and causes your population to support the war. If your population doesn't support an offensive war, then you will be hampered. War should be declared before any invasions can begin. Any invasion of a country without a declaration of war will tarnish your international image and increase your infamy. During the war, use of natural geography and logistics should be used. Work to keep your front at an ideal size while not overextending yourself: An invasion into Siberia, the Himalayas, or the Amazon is a guaranteed way to overextend your supply chains. Military operations should be noted in detail or assumptions will be made and military progress will be hampered. How much detail you want to go into is up to you, but the more detailed the better. Your troops will not do exactly what you say 100% of the time. There will be miscommunications, there will be deserters, and there will be incompetency. While this will doubtfully cripple your war effort, it should be something to keep in the back of your mind. The likelihood of this occurring does somewhat rely on your national unity and nations involved in the conflict. After wars, a truce may be signed saying the 2+ countries will not go to war again for a set period of time, breaking this truce heightens national infamy. ESPIONAGE - Espionage is a system which details things like spies or hacking into another nation. This is a tool of "violent diplomacy," but it can also benefit you in a war. War plans are subject to espionage, corrupt politicians, and hacking and may give a glimpse into the military movements of the power being spied on, allowing the spying nation to more effectively repel and counterattack. Military technology can also be learned about, allowing you to know more about the capabilities of the enemy, allowing you to plan more efficiently. This does not mean that you can replicate the technology. When it comes to diplomatic espionage, politicians can be corrupted, and election results and campaigns meddled with, affecting the democratic processes of a nation. The more naturally corrupt the state, the better corruption works but if the state is more transparent, hacking is generally better. If your spy is caught, the nation which caught them will lose opinion of your nation. Depending on the situation, it could even speed up the process for war justification. TECHNOLOGY - Technology is an essential part of espionage, warfare, standards of living, etc. Countries that pour more money into technology development, or nations which subsidize tech development companies, will grow their technology much quicker. Nations can also enter into joint research agreements, speeding up the process of development, or outsourcing it to other areas with more efficient development. New military tech takes time to implement into your armed forces, depending on the scale of the upgrade. Less technologically advanced nations gradually glean technology off of more advanced allies. Basic statistics for new technology should be put in, but if you're novice you could always work towards real-life technology or discuss it with Welfresio or Nations United for Conquest, both of which are sort of "military experts" for the Cobalt Network. ECONOMICS - Every nation has a unique approach regarding their economic development, especially in regards to rising powers and semi-planned economies. Jumping from different economic stances can hamper growth if not done gradually. Radical interventionist or Laissez Faire economic policies will in most situations lead to an economic downturn. Failure to implement economic policies or policies which end up having negative effects on the nation will result in low national unity and the rise of reactionary elements within your nation. Most countries with resource-dependent economies are unstable in nature and are highly likely to suffer from the negative effects discussed in the next two sections. Diversifying into different sectors can help escape this, however it can anger the corporate/political elites of your nation. SCANDALS - Scandals happen whenever a nation, specifically a democratic nation, subverts standard democratic processes, which would negatively affect national unity. Smaller scandals may put a few government members in hot water, but it's nothing which can't be resolved while large scandals may give the nation in question the “Government Resentment” modifier. Immensely large, decade-long scandals, on the other hand, may expose widespread corruption, and have a chance to cause a complete collapse of the government in question, removing the player from the game and forcing them to reapply. INTERNAL POLITICS - Elections, for both the executives and legislature, are decided by the International Entity [Pacificora] in democratic nations. Same thing for referendums, recall votes, etc. One party countries or dominant party countries are more likely to undergo violent political shakeup and even coups if national unity reaches low levels. Military coups are possibility when the government is completely split, and a chunk of the military sides with rebellious forces. Large-scale political unrest can occur if either your leader has maintained a grip on high amounts of power, major policies that contradicts with your nation's religious and cultural values, and if resources necessary for the economy and every day survival are horribly distributed and maintained. Policies which advocate for huge connection to the globalizing economy will make your country more open for foreign communications and liberalism in your nation will become larger with reactionary politics rising as a legitimate alternative over the course of years. Authoritarian nations require a satisfied aristocracy, if not achieved, a coup or civil war is likely. Last edited by Atrilan on Tue Apr 16, 2019 6:36 am, edited 101 times in total. Last edited by Atrilan 13.7 billion years ago, edited 73 times in total. Funding rebels with what, China? I don't think they accept the limp bodies of your citizens as payment. Since World War II, the 20th century seemed to be destined for American dominance. The war not only brought the United States from the Great Depression, but catipulted it to superpower status along with the Soviet Union. While competition between the two lasted decades, the Iron Curtain eventually fell, and with it the United States ascended to a state of unilateral control. As decades continued, however, it became more apparent that the 21st century would not present the same level of prosperity for the United States. The United States maintained the largest sphere of influence through NATO. In 2022, the United States lost the vast majority of their sphere of influence at the conclusion of the Virumaa Crisis, which the anti-interventionist President Hampton stated his refusal to intervene with Russian ambitions in Estonia, which lead to NATO being disbanded. While the United States has lost the vast majority of their sphere of influence, they have not passed the threshold of no return. With careful decision making and global diplomacy strategy, the United States could grasp at their overseas allies once again, and resurge as the undisputed superpower of the world: both through itself and its allies. The United States, Mexico, and Canada have tied their economies together. This modifier supports your economy in times of crisis and increases the Mexican-American relationship, but also moves industry away from the United States. The United States is the land of the free, the original bastion of democracy. This modifier makes it much more difficult for your citizenry to support authoritarian and undemocratic ideals, but it also boosts national unity. The Republican-Democrat divide has never been wider, and it seems the two parties are always at eachother's throats. This modifier forces the United States into a two-party system, creates a rift between left and right areas, and lowers national unity. The Virumaa Crisis has decisively been one of the most important events in the 21st century, causing the collapse of NATO. This modifier decreases national unity while also damaging relationships with former-NATO members and US allies. China is, for all purposes, the factory of the world. The emerged from World War II a crippled nation, hardly able to stand before knocked into a brutal Civil War. At its conclusion, the Communists reigned as the rulers of mainland China. As decades continued to develop, Chinese industry had begun to snowball. Due to cheap labor costs and developed infrastructure, many corporations began to move operations to the People's Republic. This effect catapulted China into a position as the world's manufacturing hub, bolstering one of the largest economies on the planet. The authoritarian Chinese government has allowed them to develop themselves at brutal efficiency. While China has become one of the major players on the world stage in only a few decades, they face a plethora of issues which could challenge the stability of the government. Seperatist movements in Tibet, Overpopulation and a water shortage, and the existence of Taiwan as a democratic China are each great hurtles for the Communist regime. If passing unscathed, however, the 21st century is almost certainly the Chinese century. China is a one-party state, with the Communist party holding a vast majority of the power. 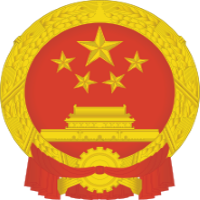 This modifier forces China to comply with the Communist Party, increases national unity, and increases corruption. China is the second most populated nation on Earth, and is beginning to exceed its capacity. This modifier decreases national unity while also damaging Human Development Index levels. The South China sea dispute is one of the most major conflicts on the Asian continent. This modifier increases national unity, while also increasing infamy and damaging the Chinese relationships to nations sharing claims on the area. Similar to the South China Sea, the Jammu-Kashmir Conflict is the single most in all of Asia. The situation, especially in recent months, has created an atmosphere of hatred between India and the Chinese-Pakistani alliance. This modifier increases national unity, while also increasing infamy and damaging the Sino-Indian relationship. The Russian Federation has been on the decline since the mid-Soviet era. Plagued by internal strife, revolution, and a large cast of foreign enemies caused the collapse of the Union of Soviet Socialist Republics. After the fall of the Soviet Union, Russia was left with 25% less land area, half the population, and longer borders. At the fall of the Soviet Union, Moscow was 1,500 kilometers from NATO. Within three decades the Russian capital of Moscow was within breathing distance. This lead the Russian Federation down a path to secure what little influence it had left, by securing areas with Russian minorities such as in Crimea. An attempt on Ida-Virumaa, while unsuccessful, lead to the collapse of NATO giving the Federation room to breathe. With very few close allies to speak of, and most of its former Western lands being under European influence, Russia still remains in a precarious situation, especially with its departure from the SCO. However, for the first time in decades, the Russian Federation has a chance at expanding its sphere of influence. For decades, the Russian Federation has been losing land and influence. The Russians have been pushed to the border, and must either secure their influence or lash out in expansionism. This increases national unity and its relationships with CSTO members, while damaging those with surrounding nations. Russia is a one-party state, with the United Russian party controlling the vast majority of the Duma. 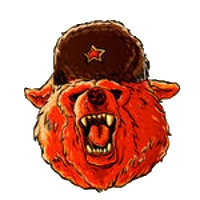 This modifier forces Russia to comply with the United Russia Party, increases national unity, and increases corruption. The Virumaa Crisis has decisively been one of the most important events in the 21st century, causing the collapse of NATO. This modifier increases national unity while damaging Russo-European relationships. The Federal Republic of Germany has been one of the most powerful nations in Europe throughout the last few centuries, and the last decades have been no exception. Although German decline has been seen since the end of World War II, they have become a powerful force in global politics yet again. Germany is the linchpin in the European Union, which has united the economies of Europe together: a project which began to make warfare impractical between European states. For much of late history, Germany has relied on the United States for defense, but this has wavered in recent years. With their allies in Europe, they have become a formidable force against the ambitions of the Russian Federation. Alone, Germany doesn't stand a chance against the growing powers of the world. Hand-in-hand with the European Union, however, they just might stand a chance. The European Union is an economic organization of several European nations, making up the vast majority of the continent. This modifier increases research capabilities, economic prowess, and regional nationalism while decreasing national unity. The history of Germany is one of warfare and authoritarianism, a history which the German people feel guilt towards. This modifier lowers national unity and makes it much more difficult for your citizenry to support authoritarian and undemocratic ideals. The Virumaa Crisis has decisively been one of the most important events in the 21st century, causing the collapse of NATO. This modifier increases regional nationalism while damaging the Russo-European relationship. For centuries, the Indian continent has been one of strife. Splitting apart on a constant basis until finally being conquered by the United Kingdom. After spending most of the 20th century as either a colony or a undeveloped third world country, The Republic of India has been viewed as the more backward sibling of China for several years. Overpopulation and unsanitary conditions have been widespread throughout India for most of modern history. This was only exasperated by the Bengali Migrant Crisis, which started in 2023 and has begun to steadily worsen. The Republic of India has a bright future ahead if it's numerous infrastructure and standard of living problems, but if left underdeveloped, it will most certainly be delegated to the dustbins of history. India is the most populated nation on Earth, and is beginning to exceed its capacity. This modifier decreases national unity while also damaging Human Development Index levels. The Bengali Crisis is cited as one of the largest refugee crisis in history, with many analysts believing it will become the single worst in the near future. This modifier decreases national unity while lowering Human Development levels. The Jammu-Kashmir Conflict is the single most in all of Asia. The situation, especially in recent months, has created an atmosphere of hatred between India and the Chinese-Pakistani alliance. This modifier increases national unity, while also increasing infamy and damaging the Sino-Indian relationship. For decades, the United Kingdom had been part of the European Union, a supernational organization containing much of the European continent. In 2016, the United Kingdom voted to exit the union, which was finally executed in 2019. The vote was highly controversal, and several days after the final exit, the Scottish National Party demanded a referendum on independence, due to the fact that Scotland largely voted to remain in the union. The referendum was agreed to, but the British government continuously held off on releasing a date. After three years of gridlock on the topic, the SNP scheduled a referendum in 2022. The referendum succeeded by a margin of over 65%. The British government immediately recognized this referendum as illegitimate, sparking protests and other acts of defiance in the name of an independent Scotland. While it's been nearly two years since the date of the false referendum, Scottish independence runs as strong as ever, a sentiment which may end the 400 year history of the United Kingdom. 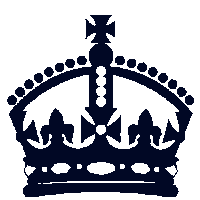 The Commonwealth Realm is a union of nations which all recognize the Queen as their head of state. This modifier increases national unity. The British people see the British monarch as a figure to unite them all. This increases national unity. The Scots have been battling the idea of independence for a while. This modifier decreases national unity and damages the English-Scot relationship. The Virumaa Crisis has decisively been one of the most important events in the 21st century, causing the collapse of NATO. This modifier increases regional nationalism and national unity while damaging the Russo-European relationship. 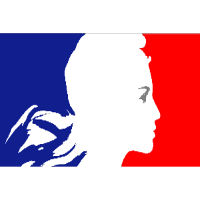 The France, in all its forms, has been at the center of European politics since the fall of Rome. Similarly, for much of its history it has been at odds with its neighbor to the east: Germany. 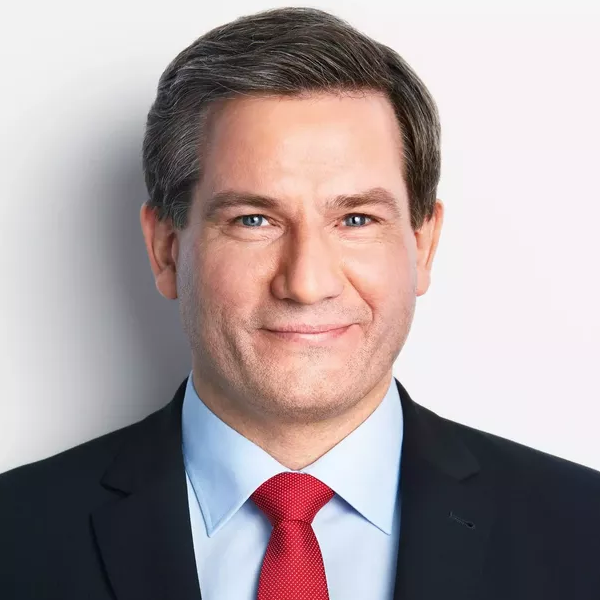 Over the past few decades, the relationship between Germany and France has been mended by means of the European Union, which has ensured cooperation throughout the continent. The French have been champions of the Union, being one of the original creators of the project as well as proposing the CESDOT after the collapse of NATO. The French Republic stands no chance against the superpowers of the world alone, but with its allies it just might be able to hold back the encroaching forces of foreign powers, and to catapult itself into a formidable power yet again. France is the home of liberalism, the original bastion of democracy. This modifier makes it much more difficult for your citizenry to support authoritarian and undemocratic ideals, but it also boosts national unity. In centuries prior, Japan has been a nation to behold. From a backward Asian nation, Japan rose to a level comparable to the European Empires of old, and engaged in radical expansionist policies during the middle of the 20th Century. In modern times, Japan no longer holds that reputation. Japan is a nation solely focused on the its own defense, rather than imperialist policy, and its military parallels this. However, the State of Japan still remains one of the most powerful nations in Asia. With extremely advanced information technology and automobile industries, Japan is one of the largest leaders of technological advancement on the planet securing them amongst the world powers. However, the Japanese economy has been on the edge of collapse in recent years, with the highest debt-to-GDP ratio seen among any of the nations, and with a shrinking workforce, halting its rise will only become more difficult. If Japan can secure their debt and population crisis, it will be sure to be a formidable Asian power. However, if its debt gets to unsustainable levels, the Japanese will become a pawn of the nations around it yet again. While Japan has fully embraced democracy, their legislature is largely ruled by the Conservatives. 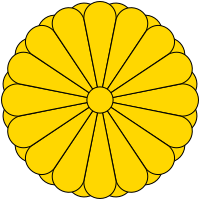 This modifier increases national unity, increases corruption, and forces Japan to comply to the conservatives. In the Japanese Constitution, Japan has limited itself from declaring offensive wars. This modifier lowers the Japanese militaristic capabilities while lowering national unity. The Japanese people see the Emperor as a figure to unite them all. This increases national unity. The history of Japan is one of warfare and authoritarianism, a history which the Japanese people feel guilt towards. This modifier lowers national unity and makes it much more difficult for your citizenry to support authoritarian and undemocratic ideals. 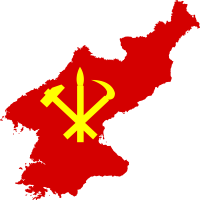 After World War II and the Korean War, the Korean Peninsula had changed drastically. The peninsula was split between an Authoritarian, Communist North and a Democratic, Capitalist South. 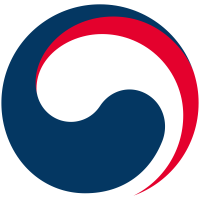 The Republic of Korea is one of the most developed countries in Asia, similar to Japan in proficiency in information technology and in culture. In past decades, the South Korean government has repeatedly pushed for reunification of the two nations, but the Kim regime has repeatedly shot down unification talks, viewing South Korea as one of their worst enemies. Ever since North demonstrated nuclear capabilities, the people of the South have been wary of the North Koreans. With cracks becoming evident in the Kim regime, however, the time for reunification may be nearing. The people of South Korea have remembered the Korean War as one where they were nearly on the brink of destruction. This modifier increases national unity and solidifies the American-Korean relationship. The people of Korea have, especially in recent years, become restless about unification with their Northern brother. This modifier increases national unity, and further damages the North-South relationship. North Korea is, despite it's size and power, one of the most relevant nations in recent history. The volatile nature of the Kim regime has not gone unnoticed by the world, with the construction of nuclear weapons only forcing nations to treat the Hermit Kingdom delicately. The nation has, for much of history, relied on China as a larger ally to ensure independence. Recently, the People's Republic has distanced themselves from the regime, instead focusing on economic development and their goals in the South China Sea, denouncing the actions of North Korea on multiple occasions. The Hermit Kingdom is surrounded by enemies on all sides, only held off by the mediocre nuclear arsenal the North boasts, and a people growing restless with poverty and strife. The future of North Korea is grim, but if it can solve it's resource shortage and dangerous poverty, it may survive as an island surrounded by sharks. North Korea has isolated themselves from the world, due to both sanctions and a will for the current regime to survive. This modifier increases national unity while damaging research and economic capabilities. The people of North Korea are fervently devoted to Kim Jong Un. This modifier increases national unity. The DPRK is surrounded by enemies on all sides, with no allies they could absolutely count on in a war. This modifier decreases their relationship with every nation, while damaging economic capabilities. The history of Egypt is a rich one, evident by their position as the oldest currently existing civilization. A decade ago, the Egyptian government faced a revolution as part of the Arab Spring, which deposed multiple leaders in order to establish a democratic state. In 2014, once their nation had stabilized, they undertook multiple economic growth projects which were met with moderate success. While Egypt has not seen the same level of economic growth as their neighbors in Africa, they are unequivocally one of the most powerful nations on the continent, especially from a military standpoint. Despite their success, their position as an African power has not gone uncontested. In 2019, the Ethiopians completed the Renaissance Dam on the Nile River, which served to weaken Egyptian agricultural yields by up to 20%. This project was not one of a kind, however, as this sparked the beginning of large-scale economic development along the Blue Nile, which serves to threaten the power of the Egyptian state. Missives to halt production have gone unrecognized by Ethiopia, which contributed to the dissolution of the African Union in 2020. If Egypt cannot secure their access to the waters of the Nile, the Republic will no doubt become submissive to their neighbors in Addis Ababa. The Arab League is a multinational organization made up of many Sunni nations. This modifier increases regional nationalism while increasing economic capabilities. The Conflict on the Nile has been sparked over Ethiopian development of the upstream river. This modifier decreases agricultural capabilities while damaging the Egyptian-Ethiopian relationship. For decades, the Iranian government has been alone in the world. The largely Islamist, Shia government has been at odds with the Sunni world around them since the rise of the Islamic Republic. 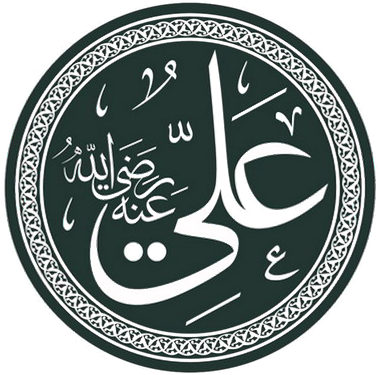 Ruhollah Khomeini, the first Ayatollah, worked to export the Shia revolution to other areas of Shia majority in Iraq, Saudi Arabia, Yemen, and Afghanistan; a job which has only continued under his successor, Ali Hosseini Khamenei. This revolution has put them into direct competition with Saudi Arabia on the global sphere and the oil market, both nations using the smaller countries around them as pawns against eachother, a conflict which has been nicknamed the "Middle Eastern Cold War." Iranian oil exports have been constantly crushed by the United Nations, which levies sanctions against the gulf nation at any opportunity by effort of the United States. Iran faces a risky future, with a hostile Saudi Arabia and even more hostile transoceanic powers. However, if it is able to sew cracks in the Saudi Regime, it just may be able to secure it's position as the King of the Gulf. The Iranian state has been fervent in spreading the Shia revolution across the Arab world. This modifier increases national unity, while damaging its relationship with Sunni nations. 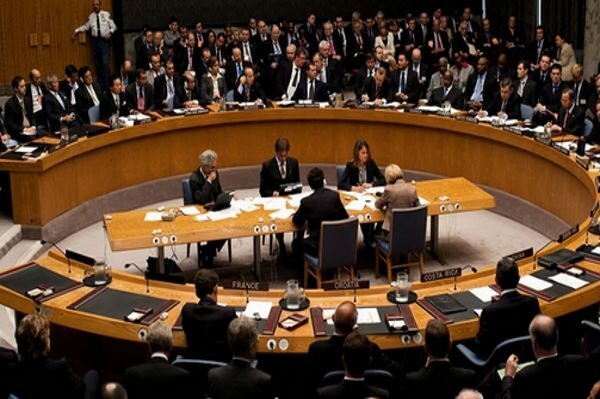 The Iranian state has been sanctioned by the UN, and more specifically the West, on many occasions. This modifier decreases economic potential and damages the Iranian relationship with western nations. In the late 1800s, Brazil seemed like an obvious candidate for future superpower status. Large land area, a plethora of resources, and expansion opportunities made it apparent that Brazil would be a force to be reckoned with. 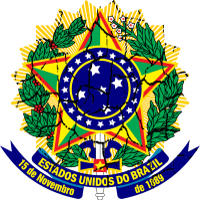 This was not the future destined for the nation, however, as the potentially bright future Brazil faced was squandered by a lack of industrialization. In recent years, Brazil has an adequately industrial economy, but its status has been offset by other factors. A corrupt government and overspending in inadequate social programs all contributed to a large-scale economic decline seen in after 2011, resulting in a decline of 40% of the Brazilian economy. This has caused large resentment towards the government, with many government figures having deplorable approval ratings. While the Brazilian economy hasn't declined much since 2019, it has gone without much growth for half a decade. If Brazil can navigate and grow it's economy and appease the restless, it may have a chance to grasp superpower status, as predicted long ago. The Brazilian economy has tanked in recent years. This modifier lowers national unity and economic capabilities. The people of Brazil have recently become resentful of their government due to decade-long destruction of the nation's prosperity. This modifier decreases national unity. For centuries, Serbia has been a small, yet influential, European nation. From sparking World War I, to challenging the definition of a Communist nation to the West, the nation has been full of surprises. In recent decades, this has been flipped on its head, however. The Serbian economy has been stagnating for nearly twenty years, never appearing to recover from the 2008 Economic Crisis. While the Serbian economy began to stagnate, the region of Kosovo declared its independence, and has been at odds with the Serbian government and the United Nations. The situation with Serbia, Kosovo, and Albania has caused tensions in the Balkans to raise to levels not seen in decades. The Crisis stands as a test to what lengths the Serbians will go to secure their sphere of influence, and weather they will succeed or decline in the 21st century. While Serbia has fully embraced democracy, their legislature is largely ruled by the Conservative "Progressive Party". 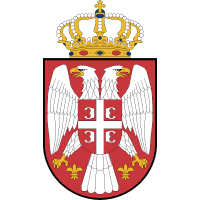 This modifier increases national unity, increases corruption, and forces Serbia to comply to the conservatives. The crisis in Kosovo revolves around Albanian annexation of a significant disputed area with Serbia. This modifier decreases national unity and damages Serbia's relationship with the European Union and Albania. For much of recent history, Mexico has been a nation struggling to survive. The War on Drugs declared by American President Richard Nixon was not only a large blow to the stability to the struggling Mexico, but to nearly all of Latin America. 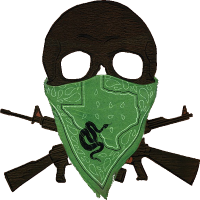 The metaphorical war drove the drug trade underground through Latin America, drastically increasing government corruption, crime rates, and the power of the cartels. In the 90s, Mexico opened its economy to NAFTA, allowing them to use the United States to secure their economy. The Mexican government has a future of strife and conflict ahead of them, constantly battling corruption and the drug trade in order to make Mexico the leader of Latin America. The United States, Mexico, and Canada have tied their economies together. This modifier supports the Mexican economy and moves industry into the nation, while increasing the Mexican-American relationship. While Mexico has fully embraced democracy, their legislature is largely ruled by the PRI. This modifier increases national unity, increases corruption, and forces Mexico to comply to the PRI. Mexico is one of the most crime-ridden and corrupt nations on Earth, largely stemmed by the immense power the Cartels hold in the nation. This modifier decreases national unity and increases crime and corruption. The people of Mexico have recently become resentful of their government due to decade-long destruction of the nation's prosperity. This modifier decreases national unity. For much of recent history, Morocco has been tossed around as a colony, like the rest of its brothers on the African continent. Under French occupation, the Moroccans and Algerians were de facto allied, working together on removing French control on Maghreb. In recent decades, however, the relationship between the two sides has devolved. Their common border has been completely closed, and both have constructed border walls to minimize immigration. All this despite both being Arab League Members. Algeria has supported the notorious Polisario Front in their war for the Independence of the Sahwari Arab Democratic Republic. In recent years, conflict has risen between Morocco and the Polisario, with several attacks on the border wall and the death of several Moroccan soldiers occupying Sahwari in the closing days of 2023. The Crisis stands as a test to how far Morocco will go to secure its territories, and weather it will succeed or fail in the 21st century. The Saharan Crisis has endangered Moroccan power in Western Sahara in recent years. This modifier decreases national unity and damages the Moroccan-Algerian relationship. The Moroccan people see the Moroccan monarch as a figure to unite them all. This increases national unity. Kenya, like most other African nations, has been the subject of occupation and exploitation from foreign powers. 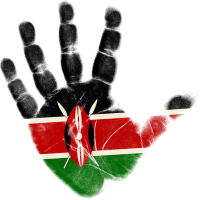 After the age of colonialism when Kenya gained independence, they found themselves a fledgling nation, arbitrarily divided by the will of colonial powers. In order to mend this division, the East African Community was formed between Kenya, Tanzania, Uganda, Rwanda, and Burundi, all of which were largely Swahili. Like their brothers in Africa, the economy of Kenya has soared in recent years, currently sitting at one of the highest in East Africa. Along with that, Kenya is currently one of the most developed nations on the continent, with adequate transportation and infrastructure networks. The nation's prosperity is not without negatives, as Tribalist tendencies may threaten to weaken the grip of the Kenyan government. The East African Community is a multinational political organization in Eastern Africa. This modifier increases regional nationalism while increasing economic and research capabilities. Tribalism, or devotion to one's tribe over their nation, has been widespread in Kenya. This modifier decreases national unity and increases crime. The Colombian nation has been crumbling for decades now, in no small part due to the War on Drugs, which turned Colombia into the hub of illegal exportation of Cocaine into the United States. This allowed Cartels and crime in the nation to flourish, at the expense of the government. 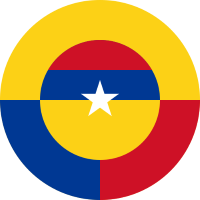 The current Colombian government is weak, ineffective, and riddled with strife and rebellion. The Colombian economic crash shortly following the Brazilian crash of 2021 was devastating for the nation, dividing it further. The people have grown restless with the foundation and Cartels take control of the disorder to consolidate further power in the nation. The future of Colombia is bleak, assuming it even has one. Colombia is one of the most crime-ridden and corrupt nations on Earth, largely stemmed by the immense power the Cartels hold in the nation. This modifier decreases national unity and increases crime and corruption. The people of Colombia have recently become resentful of their government due to decade-long destruction of the nation's prosperity. This modifier decreases national unity. Saudi Arabia and Iran are often considered the two opposites of the Middle East. As Iran exports the Shia revolution to parts of the Middle East, Saudi Arabia works to maintain the status quo and promote fundamentalist Sunni. While the Iranians are vastly superior population wise, the Sauds have some of the highest sovereign wealths of any nation, and for good reason: the black gold lying under their feet. Oil put them in good graces with the west, and they have used that to their advantage. Whenever the Iran steps up to start a revolution, the Sauds respond with American weaponry to put down the revolution. Saudi Arabia manipulates the world around them for their own gain, turning the Middle East into a chess match. If the Saudis can successfully spread Fundamentalism throughout the Middle East and put an end to the Ayatollah's revolution, they can finally assert themselves as the King of the Gulf. 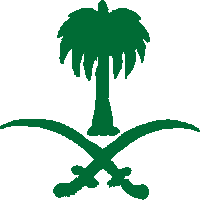 Saudi Arabia is defined by their fundamentalist ideals, favoring the establishment over revolution and reform. This modifier increases national unity while damaging its relationship with Iran and other members of the Axis of Resistance. The Saudi people see the Saudi Monarch, and head of house Saud, as a figure to unite them all. This increases national unity. The Saudi economy is largely based on oil, and the reliance of the west on it, allowing Saudi Arabia to sit as a precious asset to western powers. This modifier increases national unity and the relationship between the West and the Sauds, while decreasing economic flexibility. The 11-year Syrian Civil War devastated the nation. Hundreds of thousands were killed, millions were displaced. The Syrian Government won a country of rubble, and now they had to rebuild it. However, Syria has many enemies, which meant that it must to capitalize on the friendships it does have. Relations with Iran, already high due to cooperation during the Civil War, were finally formalized with the forming of the Axis of Resistance to counter the influence of Saudi Arabia, who had funded radical Sunni insurgents against the Syrian government. The Kurds maintain sovereignty over a part of Syrian land, unofficially let go during the Civil War to give the Syrian Government one less enemy to fight. Israel, as always, remains a large specter on the horizon. 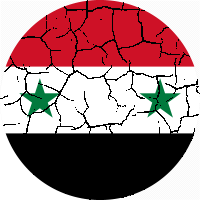 Syria has slowly crawled out of the Civil War, bloodied from the destruction of their nation. Despite the end of the war, the government remains unpopular. The nation has a dismal future ahead if it cannot secure itself, but if it can it will remain a vital asset against Saudi Arabia. Syria has embarked on the long path of recovery from the most brutal Civil War in the Middle East. This modifier decreases economic output, lowers national unity, and slows development. The people of Syria have been resentful towards their government for over a decade. While much of the hard resistance has been broken due to the Civil War, many Syrians still dislike the national government. This modifier decreases national unity. Spain's history, especially in modern times, has been one of turbulence and warfare. From the Economic Crisis of 2008, The Catalan referendums of 2017 and 2022, and the rise of more hardline policies throughout the nation. In 2017, after the Catalonia referendum, the Spanish government attempted to take power away from the Catalan government, sparking another referendum in 2022. In both cases, the referendums passed by a huge margin, but the national government refused to recognize it. Soon after, the Spanish national government attempted again to wrench power from the Catalan government, which only served to further the rift between the two sides. The Euskadi Ta Askatasuna, a Basque separatist movement, began to rearm themselves soon after as a backup to their autonomy in response to the struggle in Catalonia. 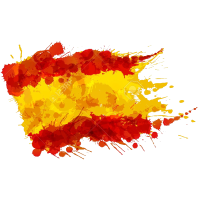 The future of Spain is a delicate and uncertain one, with potential to quickly descend into civil war, but to also become a huge player on the European stage. 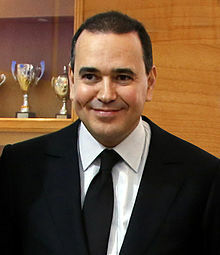 The Spanish people see the Spanish monarch as a figure to unite them all. This increases national unity. The Catalans have been battling the idea of independence for a while. This modifier decreases national unity and damages the Spanish-Catalan relationship. The nation of Sweden has, for much of recent history, been massively progressive. The Swedish intook huge amounts of refugees during the European Migrant Crisis of 2015, which continued until it came to a grinding halt in 2018. 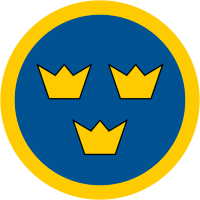 On May 10th of 2018, the largest terrorist attack in European history was carried out in Stockholm, killing King Carl XVI Gustav, Queen Silvia, and 410 other civilians. It seemed that all at once, the Swedish people began to violently assault Muslims on the streets, and the once progressive nation had begun to shift to high levels of regression. The Swedish government, with elections months away, pushed the European Union to restrict migration from Islamic nations. The future of Sweden is one of internal struggle between the left and right, which continue to radicalize as time goes on, while also dealing with the large Muslim minority in their population. The Swedish people see the Swedish monarch as a figure to unite them all. This increases national unity. Last edited by Atrilan on Wed Mar 28, 2018 7:53 pm, edited 18 times in total. Revolutionary Communist State set in Asia. PMT. NS stats are not used. Actively funding left-wing "terrorist" organizations since its founding. Major foreign military suppliers [IF APPLICABLE]- Most of Germany's foreign suppliers come from within the European Union. 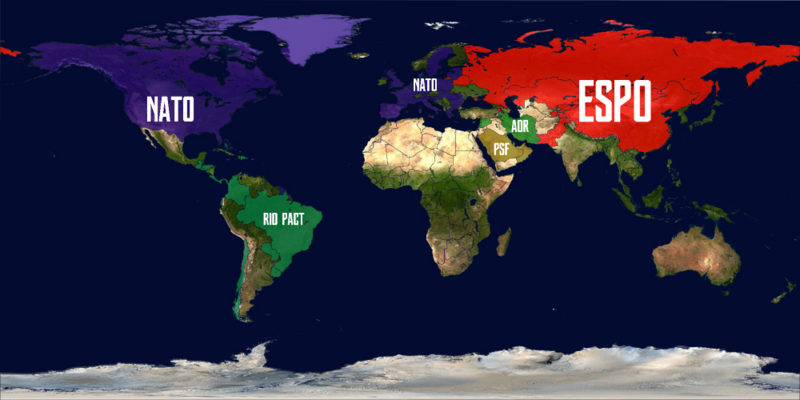 Major Foreign Issues - Encroachment of Russia on European sphere of influence, Saudi Arabian involvement potentially threatening oil supply, and divide between the United States and European Union. History - I wrote the history section, so everything that I wanted said is already there. Last edited by Atrilan on Sat Feb 03, 2018 1:26 pm, edited 5 times in total. Newne Carriebean7 wrote: You will get greatness from me. I’d like to reserve Ukraine if that’s ok.
Hothnia wrote: I’d like to reserve Ukraine if that’s ok.
We have a reservation app, but you said everything here anyways so I'll reserve it. Already have it, 68954012663 is for applications and 68954012662 is for reservations. Atrilan wrote: Already have it, 68954012663 is for applications and 68954012662 is for reservations. 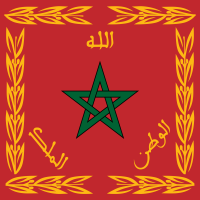 Private Goals - put a Moroccan friendly government in power in Algeria, restore power to the monarch, occupy Spanish exclaves in Morocco. On a separate note, I don't think it makes much sense for Turkey to be part of CESDOT. The Turks currently have abysmal relations with most of Europe and I'm not sure that would change in a mere six years. Last edited by Rodez on Fri Feb 02, 2018 9:24 pm, edited 1 time in total. Well, the Turks are current members of NATO so I just passed that on, they'll probably turn away in the first few years anyways. Last edited by Atrilan on Fri Feb 02, 2018 9:29 pm, edited 1 time in total. 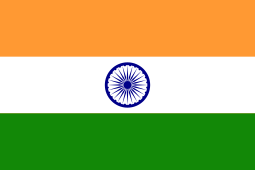 History - India has been one of the worlds most prominent countries since the first Indian civilizations in the Indus Valley during the 3300 BCE times. An insanely multiethnic region of the world with many spoken languages and resources out the wazoo, has long been united by outside forces looking for resources and manpower, the Mughal, Maurya, Gupta, and British Empires to name a few. 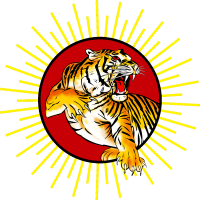 The British Raj was "The Jewel in The Crown of The British Empire" and was the greatest factor in the British's international power. Nowadays the country has gone through multiple changes, from market liberalization and globalization starting in the early 2000s allowing the Indian economy to become one of the fastest growing in the world, to ever-improving infrastructure, rising tensions and rivalry with China, military modernization, and an ever reclusive United States paving the way for India to become a major player on the world stage. Last edited by Nancivania on Fri Feb 02, 2018 10:15 pm, edited 2 times in total. Last edited by Fascist Republic Of Bermuda on Fri Feb 02, 2018 10:25 pm, edited 1 time in total. N U T S !